What is Flash Streaming Server and when should I use it ? In general, for INSTANT playback on videos longer than 15-20 minutes long, and if you want to "protect" the FLV from internet sharing. The difference between progressive and streaming is very subtle. A Progressive Download in Flash means you are able to watch the video while the rest of the video is loading into the player and is caching into the users temporary internet files. Flash Streaming Server works differently by using the Flash Player, you can command it to stream directly from the server, with no caching into computer temp folders. 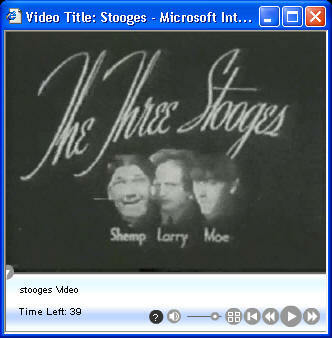 This method is preferred for videos longer than around 15 minutes FLV's being played remotely from the server use Streaming Playback. If the FLV or MP4 file is not playing through a Flash Server you won't be able to use Streaming Playback. Though nearly identical to Progressive download, server streaming does have some advantages to the developer. Streaming servers can, invisibly adjust for changes in bandwidth, allow the user to move to any position in the video and to set up playlists that have no lag between videos. Flash application communicates through FLV hosting and is called RTMP. Even though the browser can play the file while connected to the server, the file cannot be played locally, and it is not cached to the users temp internet files. Given the connection to the MX server however, it allows the user to play the movie directly in their chosen browser. This eliminates the need for a third party download such as Quicktime, Windows Media Player, Divx or Real Player. Flash is embedded in 98% of all internet browsers, a higher percentage than WM, Real Player and Quicktime combined. Demonstrates the versatility of player construction with the use of thumbnails and cue points at 1/16th of the total movie time. Look for the button next to the volume for the scenes control. This allows for instant fast forward or navigation similar to a DVD chapter listing. Embedding the player is limited only to the developers html and xml skills. The player can be made to be a launched in a new window. This kind of player is also suitable for members areas for Pay Per View and other user controlled situations. The players in the demos are available for purchase, see below. NOTE: If just buying the SWF you will need an account with FLV Hosting as they are configured for our servers. If purchasing the source files you can alter the FLA file to use a different RTMP setting. Free RTMP Streaming FLV Players are included with every account. While traditional methods of media delivery include some kind of download to the user's computer, either in a pre-loader or through temporary Internet files, Flash server and a Flash FLV Player connect in a completely different manner. Simply put, it's a new connection to the file each time the user uses the controls in the player. This means that in the background it's a "start here" "stop here" "start again here" style of play, a bit like a remote VCR or DVD player, but with no downloads or caching. 1. FLV format file sizes after conversion are up to 60% smaller, saving server storage costs. 2. FLV's start – stop connection style saves on bandwidth (which is as much as 60% less per month). 3. FLV format has no local player in operating systems, so file sharing is virtually nullified. 4. FLV format plays directly in more browsers than Windows Media, Real Player or QuickTime. 5. FLV server can authenticate clients, and control users as you wish. 6. FLV players can be completely customized for logos, branding and embedded links. 7. FLV players can play files from a programmable database, and simple administration area. 8. 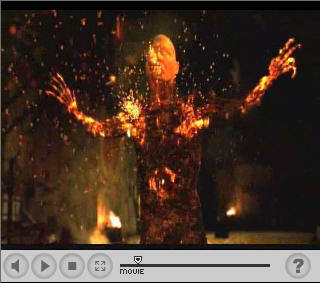 FLV players can be programmed to integrate with databases for free previews, time, users. 9. FLV encoding can include user information for content tracking, misuse, or DRM. 10. Flash Communications servers are easier to maintain than others, and less prone to security hacks. Who is using Flash Streaming Servers? Yahoo, IBM, Sony, Universal Studios, the list is growing. The primary use of flash servers is that it creates an open socket connection.. This is push technology as opposed to pull technology. A users connection however does not become "more stable or faster because of it. Open socket connections are primarily used in gaming/vrml chat environments and adds little value to precompiled content such as video's streaming video's in my opinion., The advantage of push/open socket is in "live content" such as the aforementioned environments and Live broadcast video/communication where by one would/could use multiple ports for simultaneous streams/connections to and from the server.